Because the inferences educators make about student learning can only be as good as the evidence they collect, the source of that evidence—the assessments themselves — must be of high quality. 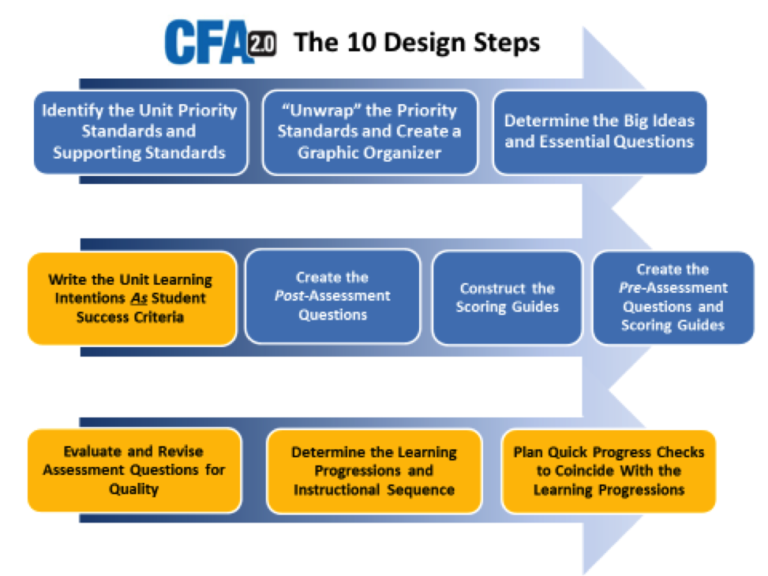 An all-new update to the original 2006 book, CFA 2.0 shows educators how to design high-quality formative assessments—and more! It also describes with clarity how to create a system of intentionally aligned components (standards, instruction, assessments, and data analysis) that all work together to improve student learning. Teacher teams use resulting student responses as diagnostic feedback to correctly interpret student understanding and differentiate instruction. Students use the same valuable feedback to monitor and adjust their individual learning strategies. “One of the hardest tasks for teachers is to align a pre- and post- classroom assessment to best measure the change or progress made between the two occasions. Such a test needs to have questions in the two tests anchored on a common scale (i.e., whatever is measured on each occasions should be the same construct) and anchored on a common difficulty scale. Ainsworth spells out how classroom teachers can work together to create such tasks and this then allows a major focus, as it should, on using the progress to help monitor learning and adapt teaching. 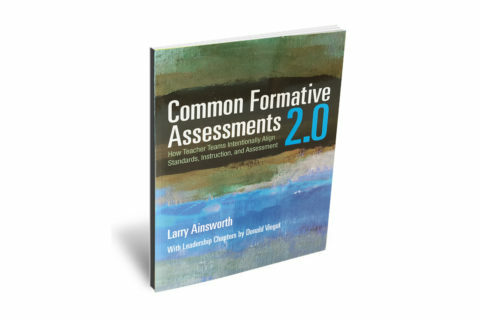 “The book is an update on an already successful text, and the new material in this book is critical to its value: Ainsworth introduces constructive alignment of learning objectives, standards, success criteria, classroom and larger-scale assessments, and emphasizes the quality of assessments leading to excellent diagnostic interpretations of data – but does not ask teachers to do all this alone – but in a community of experts lead by instructional leaders (the chapter on PLCs is worth buying the book in itself). All of this with the intention of maximizing our positive impact on student learning. “There have been many who have written about the power of success criteria, growth and progress, assessment for teachers — but not how to do it. Ainsworth spells it out to perfection. It seems so obvious – create the pre- and post- measures as part of the lesson planning; then make the links between pre- and post and this is the learning progression. So why do we not do this? Because it requires a major transformation in how we think about our role. No longer just teach and then see how well the students listened to us by creating an assessment at the end focused on what we covered. Changing this thinking is the power of this book.